About Us - Rescued Guinea Pigs Inc.
About Rescued Guinea Pigs Inc. 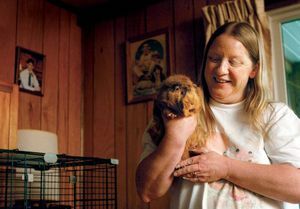 Originally a project of the Sons of the American Legion, Rescued Guinea Pigs Inc. in Sellersburg, IN, was founded in 2007 in response to a need for a dedicated guinea pig rescue in the Southern Indiana area. It earned its own non-profit status in 2015. RGP is run by Crystal Humphrey and her husband Richard, with the help of a small but vital team of volunteers and fosters. The rescue is funded solely by contributions and adoption fees. 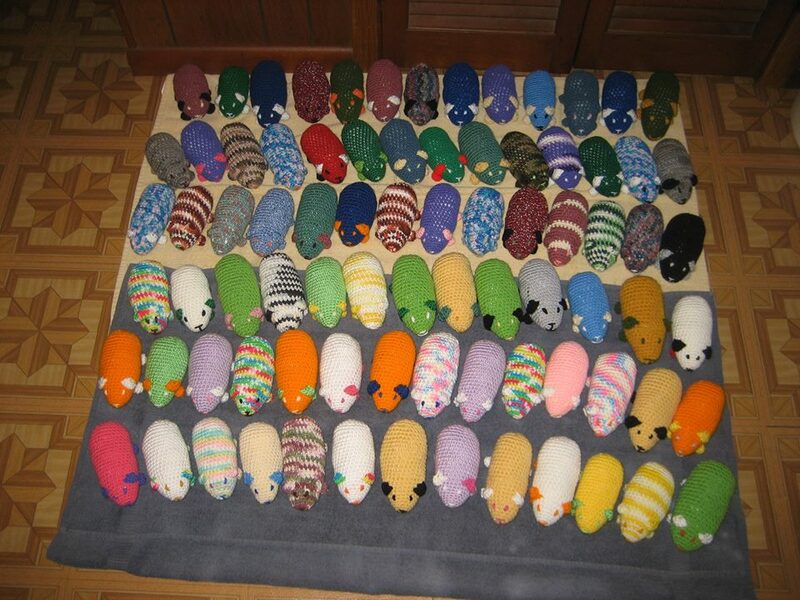 The rescue also sells crocheted guinea pigs (see below right) and gently-used guinea pig supplies to help fund operations. To date, Rescued Guinea Pigs has taken in over 850 guinea pigs since 2007, and has found forever homes for over 800. If you'd like to donate to the rescue or help in other ways, check out our Donate page. For more information, feel free to contact us. Thanks!